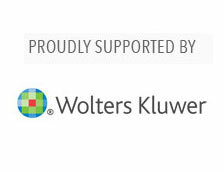 HISA in partnership with Wolters Kluwer UpToDate invites you to attend a breakfast presentation and networking opportunity. Building off last year’s Evidence Base Medicine Series, these breakfast events will explore the future state of clinical decision support. The sessions will highlight the rapidly changing healthcare environment which is seeing a convergence of clinical knowledge, patient data, and technology. Clinical decision support is evolving rapidly as clinical data and analysis tools become more readily available and sophisticated. Leveraging off existing clinical systems and knowledge bases, how can information be streamlined and delivered to clinicians to better enable their decision making and ensure improved outcomes and quality of care? And what is the future model of clinical decision support given rapid changes in technology? Join our keynote presenters who will share international and local perspectives and case examples as we explore this topical area. Mark is an Emergency Physician with over 25 years experience in public health, both in Australia and England. The last 15 of those years he has been appointed at The Alfred Emergency and Trauma Centre in Melbourne, Australia, gaining expertise in the critical decision making demands of a busy, and complex, tertiary emergency medicine setting. Apart from this clinical role, Dr Santamaria is an active member of the team responsible for the transition to an electronic health record (EHR) at Alfred Health. This includes the interpretation of the clinical environment into electronic workflows that can be developed and implemented for the Emergency Department. Outside of The Alfred, he is working with HISA to develop a Clinical Informatics group with the aim to promote like-minded clinicians to share knowledge and participate in the e-health evolution that is occurring in Australia.His ambitions are to reduce the variance in healthcare delivery across Australia, and to improve the balance between productivity demands and the quality of care provided to individuals. Dr. Wiley is Senior Deputy Editor (in-house physician editor) for Adult and Pediatric Emergency Medicine at UpToDate, the world’s leading on-line clinical decision support resource with 300+ million topic views annually and one of many points of care clinical solutions provided by Wolters Kluwer Health. In this role, he maintains the quality of the Pediatric Emergency Medicine and related General Emergency Medicine content and ensures that it is continuously updated with the latest evidence from the medical literature. He is a Professor of Pediatrics and Emergency Medicine at the University Of Connecticut School Of Medicine and is an attending physician at the Connecticut Children’s Medical Center Emergency Department. He completed a residency in Pediatrics and a fellowship in Pediatric Emergency Medicine at the Children’s Hospital of Philadelphia. He earned his medical degree from Duke University School of Medicine and his Masters of Public Health from the Yale School of Medicine. Register today for these unique breakfast events. HISA members will receive first preference. We look forward to welcoming and seeing you at these events.